The Square Reader is universal, so one reader can be used on all supported devices. You can also use the same reader to collect payments for multiple Square accounts or locations. Square readers don’t store any specific account holder or bank account information, nor do they need to be activated. If your device or reader is ever lost or stolen, rest assured that your Square account is stored securely online in our servers rather than on a specific device. 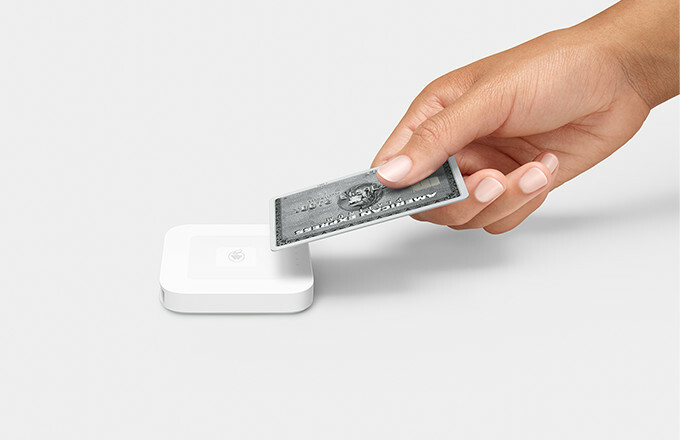 When you activate a Square account, you’re given the option to purchase a Square Reader. If you’ve already purchased a reader from one of our retail partners, or if you plan to process payments via manual entry, you can skip this step. If you purchase a reader online, it should arrive within 2-7 business days. Readers are sent out by Australia Post. We’ll send an email confirmation and tracking number as soon as your reader has been shipped. While you’re waiting for your reader to arrive, you can manually enter payments. If you need a reader immediately, you can purchase one from a retail store. To order additional readers online, visit Square Shop to make a purchase. From an iPhone or Android device, tap Settings. Tap Card Readers - Contactless + Chip - Order a Reader. Confirm or edit your delivery address and payment details and submit. If you need more Square stickers, you can order a marketing kit from the Square Dashboard. Square Readers are available from many retail locations.